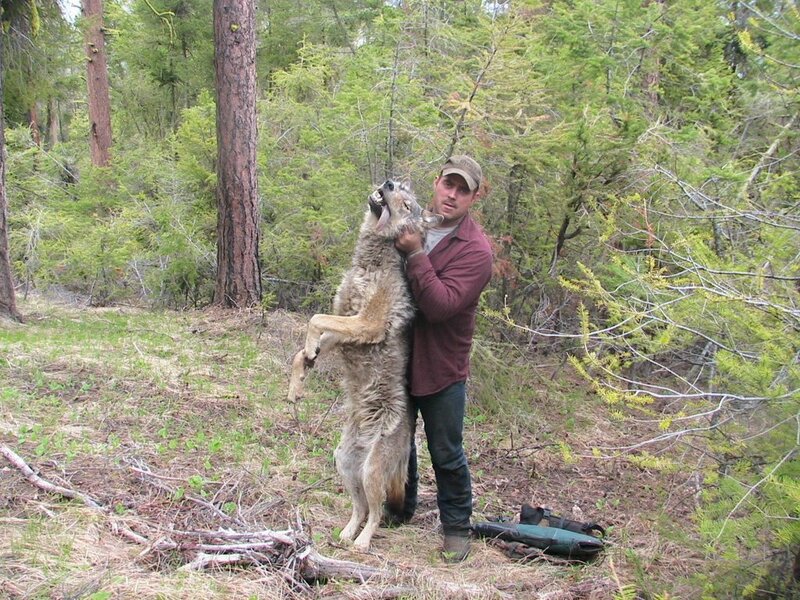 In late December 2008, Washington Department of Fish and Wildlife (WDFW) Special Agent Corky Roberts contacted the Alberta, Canada Department of Fish & Wildlife asking for information on Ralph Brausen, the addressee on the package that contained the bloody wolf pelt. Since you can legally kill wolves in Alberta, Canada, it is not unheard of for hunters who illegally kill wolves in one jurisdiction to ship or transport them to somewhere they can be legally taken in order for it to appear as if it had been harvested legally. Suspecting this was the case, Agent Roberts requested Brausen’s hunting license, vehicle registration and other identifying information. The hunting license stated that Ralph had hosted a big game hunt for William White, of Washington State. William White, a rancher who lived on Lookout Mountain Road near Twisp, WA, was the first person to successfully capture photos of wolves in Washington State using a trail camera located on or near his property. 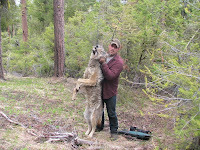 Earlier that year, White had notified the press about the images and sightings before contacting the WDFW, making it clear that he was not supportive of wolves being allowed to establish packs in Washington. William White had a son and daughter-in-law named Tom and Erin White who resided on his property on Lookout Mountain Road. WDFW officers obtained identifying information for both of them, the DMV photo of Erin White closely resembling the woman calling herself “Allison” at the FedEx drop off in Walmart. Around the same time, officers saw a car that matched the description of Allison’s SUV and got the first 3 numbers of the license plate. They were able to track it down to a red 1999 Lincoln Navigator with the license registered to Tom White of Lookout Mountain Road in Twisp. A photo lineup was shown to the FedEx clerk and Erin was picked out of the pictures shown. After analyzing samples from the FedEx package, forensic scientists were able to show that the wolf hide was indeed related to the wolves in the Lookout Pack. Because this poaching was in violation of both state and federal law, a search warrant was obtained for both Tom and William White’s residences for evidence in the federal investigation into the possession and attempted smuggling of an endangered gray wolf.